Get yourself ready for a place where beasts, super heroes and magical creatures present themselves to you. You'll enter lands where everything is real. Uncover a secret school of witchcraft and wizardry. Soar high above the city streets with a famous web slinger. Hide yourself away from hungry dinosaurs and hope you're not their next meal. And you can come face to face with the most colossal ape ever to walk the earth. Let the adventures begin. 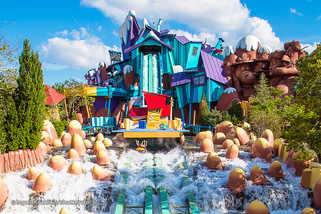 This ride combines roller coaster and water flume. 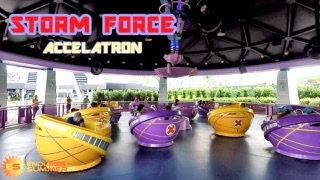 You will see your favourite cartoon characters during this exciting ride. Through this ride you will finish with a 75 foot drop into the water. Hope you have some dry clothes. Enter this magical ride and enter by Hagrid’s hut. Then you will hear Fang barking. 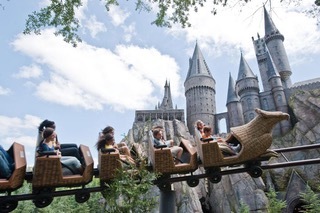 As you approach the Hippogriff Hagrid will give you instructions on how to enter the ride. Your ride is a magical creature that has wings, front legs, hind legs, a head the size of an eagle, and a tail like a horse. 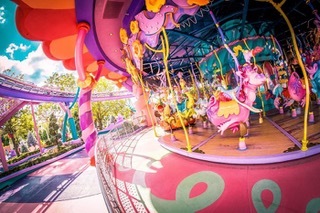 This is a family friendly ride although you will encounter spirals and swoops on your journey. Evil Magnetto is plotting to take over told and we need your help. Heplans to take over the world, starting with the X-Men. Don’t worry, help is on hand and Professor Xavier and Storm have hatched a plan. They are planning on blissing Magnetto into oblivion with the help of thunder and lightning. Get on board the power generator and spin that wheel which all of your strength. The more you spin the more thunder and lightning will happen all going towards saving the planet. 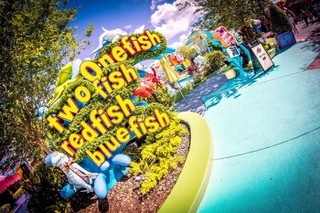 On this family friendly ride, there are two routes you can take. One direction will take you through the story of the Sneetches and the other will take you through your favourite Seuss stories. 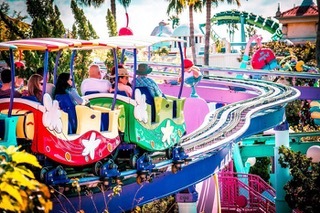 A family friendly ride which will take you over the incredible buildings of Seuss Landing. If you get to ride inside Circus McGurkus Cafe Stoo-pendous, you can wave yo everyone as they are eating. 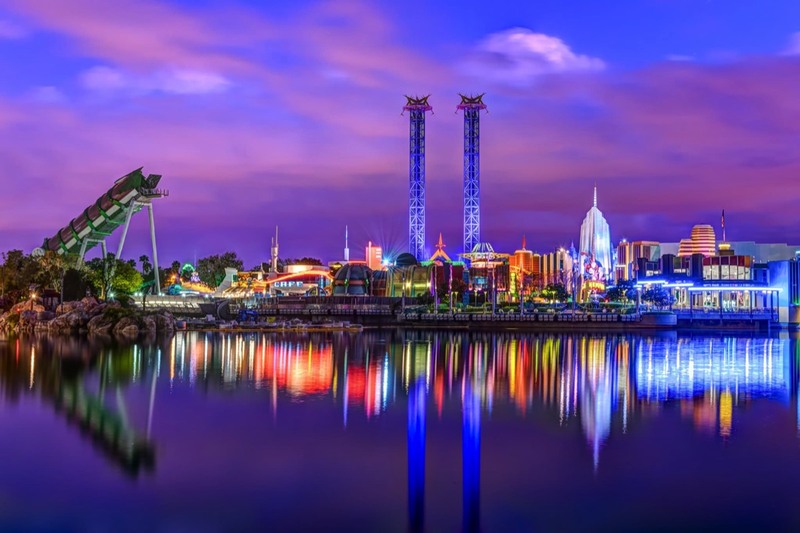 Whilst you glide around fountains, you will make your way to Seuss Landing. You will encounter squirting water in time to a musical rhyme on your journey. If you pay attention to the rhymes you won’t get to wet. If you have enjoyed the book then hop onto this ride and feel like you are actually in the book. You will twist from rooms that have been re-created with colourful characters. The main characters aka The Cat in the Hat, Thing One and Thing Two are up to mischief and making quite a mess. Oh no! Mother will be home soon. Will they clean it up in time? An exciting ride, just for the little ones! Your adventurers will fly beneath the 10 foot wings of a prehistoric flying reptile. The ride slowly soars through the air and the safe seat your little one is strapped into, gently swings from side to side. 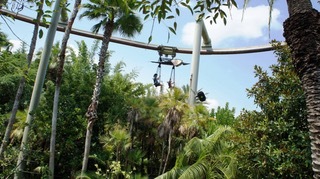 This ride is perfect for the younger guests not quite ready for the big thrills that this park has to offer. Note: Guests over 56” tall must be accompanied by a rider meeting the 36” height requirement. A perfect ride for the little ones and those of us more fearful. 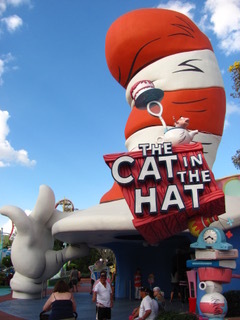 You will encounter a cast of Dr. Seuss characters, who you can interact with and make them to silly things. Make their eyes blink, eyes wiggle and heads turn.Look up high and see Horton the Elephant guarding his special dandelion. After a day on all the exciting rides, relax watching this exciting experience of music and lights. 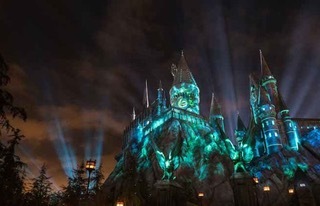 On certain nights you can watch this amazing spectacle from Hogsmeade. What better way to end your day? Visit this amazing show and witness the support the students from the wizarding school of Hogwarts give. Beauxbatons and Durmstrang lead the way for this exciting tournament. Click anywhere on the map to zoom on that area. 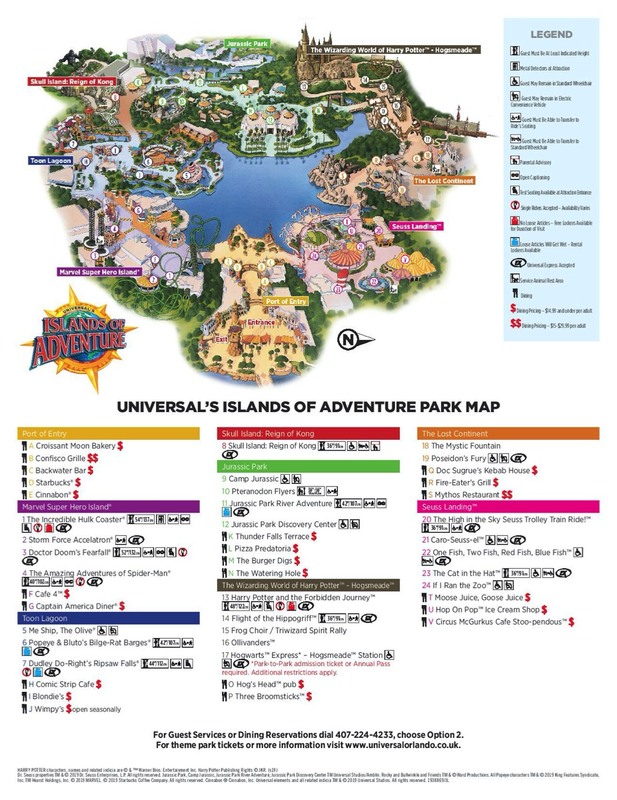 A PDF Version of the map above is available so you can easily print this off or zoom in further.